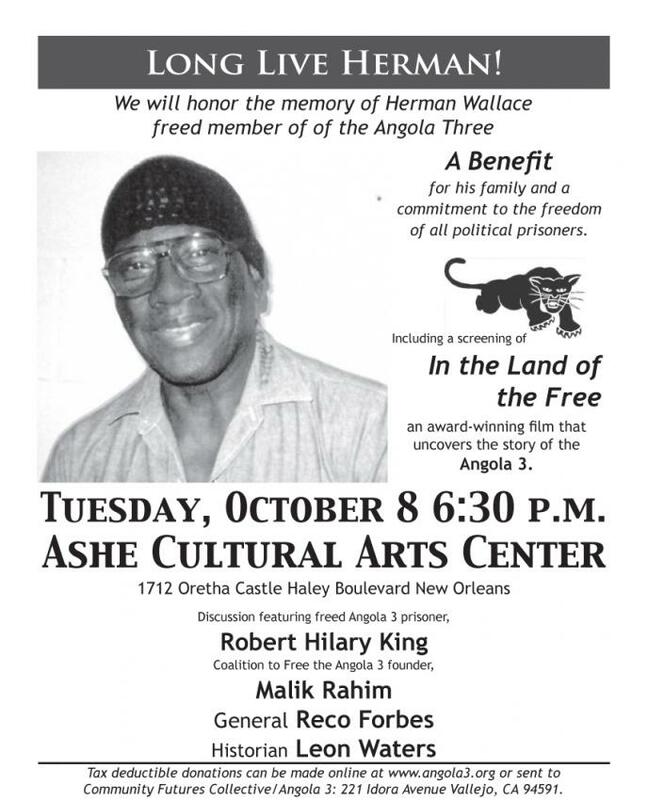 The event will take place at Ashe Cultural Center, 1712 Oretha Castle Haley Boulevard in New Orleans at 6:30 pm, on Tuesday, October 8. Please share and disseminate the attached flyer widely. Thanking all supporters in advance, hope to see you there on Tuesday.